Welcome to Past Life Regression Canada! You’ve arrived here, because ~ you are ready! Or maybe, it was a ‘you’ ~ you once were ~ nudging you from deep inside your subconscious mind, urging you to take this opportunity to remember…. The mission of your Soul will take you into lifetime after lifetime where, like a Student off to College, you will experience, grow and discover all that you possibly can. While each of your lifetimes has a beginning (birth) and an end (physical death), your Soul is timeless and will continue to research various experiences and lifetimes until such time it is called back to Source. The wisdom and lessons of all of these lifetimes are stored deep in your subconscious mind. This information can never leave your Soul, though the awareness of each past life-time is often hidden from your conscious mind to leave you free to enjoy a fresh start with each new life your Soul has chosen to explore. We’ve all made a mistake or two at some point in our lives that comes back to haunt us at times. Can you imagine what it would be like if we held in our conscious mind every memory, from every lifetime we’ve ever had? At best, it would make our heads explode. At worst, such distraction would stop us from achieving what we came into this present lifetime to accomplish. This is why, for the most part, our ‘slates are cleaned’ memory-wise when we enter into each new lifetime. Yet sometimes, you are allowed a glimpse into a past life so as to access specific knowledge that will help you in your current life. ‘What can Past Life Regression teach me about ‘me’? You find, the answer to that is endless. Suddenly, you begin to seek out all the information you can find on the subject, reading papers and books, perhaps attending lectures. 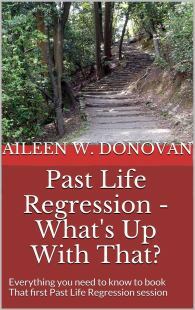 Then you try out a group regression, or purchase a past life meditation CD, just for a taste of what it’s like. Hopefully you follow through and give yourself the gift of a Past Life Regression gently and expertly guided by a Certified Hypnotherapist. And that’s where I come in. I can help you find all the answers to your questions. I can help you satisfy your need to know, remember and understand. Perhaps you would like to remember some of the professions that you mastered in a past life? Perhaps you’d like to remember what it was like to have all those wonderful skills? Maybe even, bring some of them forward to use in your current life? Perhaps you’d like to remember a Person? Perhaps there’s someone from your current life with whom you’ve shared a previous incarnation? Perhaps your Spouse? Your Children? Your Parents? Your Best Friend? Your Crazy Boss? Your Soul-mate? Or even a mortal Enemy? Perhaps you’d like to remember if you lived during a significant event in history? Perhaps you were there when they built the pyramids? Or when Atlantis rose? Or fell? Or perhaps you attended the ‘Sermon on the Mount’? Or experienced the Dark Ages? Or helped paint the Sistine Chapel? Perhaps you’ll remember when you first arrived on planet Earth from a galaxy far, far away? Perhaps you’d like to remember what it was like to give birth? Even to a country..
Perhaps you’d like to remember what it was like to live and die for your rights? Fight for your country, perhaps you were in some ancient battle between borders? Fight for your beliefs, perhaps you were in the Crusades? Perhaps you were forced to fight to the death, as a Gladiator? Sometimes, this can be negative. Giving us unreasonable fears or phobias. For example, let’s say in one of your past lives you were in Rome and condemned to death by lions in the Coliseum for your Christian beliefs. A very terrifying ending indeed. If this were to bleed-through, you may find yourself in your present lifetime with an unreasonable fear of ‘organized religions’ or even cats that you just can’t find an explanation for in your current life. You can find peace once you realize from whence that fear originated. As in the case of our ‘child prodigies’. How else do you explain a child of 3 or 4 picking up an instrument and playing as well as or better than some of the world’s finest pianists, violinists, etc..? Or painting as well as one of the Masters? Or singing with a voice that only years of operatic training could have produced? The possibilities are endless as to what you can discover about yourself and the worlds in which you have lived. Click here for details about our Past Life Regression sessions. May I simply just say what a relief to discover someone who truly understands what they’re talking about over the internet. Every day I spend half an hour to read this weblog’s articles along with a mug of coffee.